Welcome back! 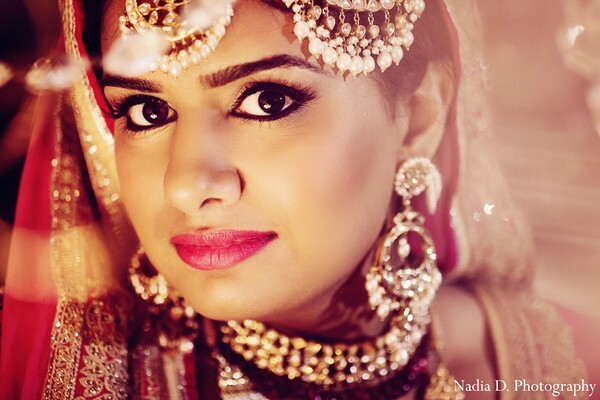 It's time for this Punjabi princess to get dolled up for her big day! 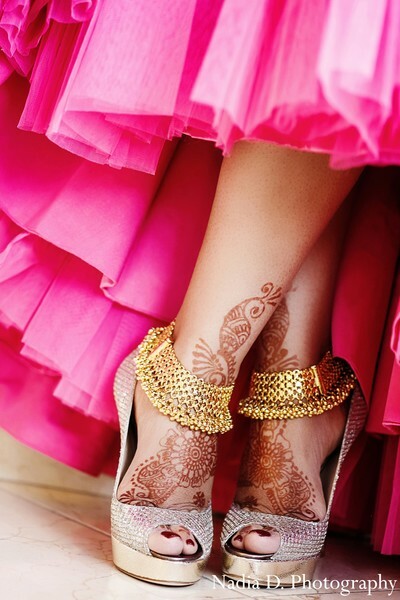 Maharani Anika rocks nothing but the best with her custom designed hot pink lengha and jewelry. 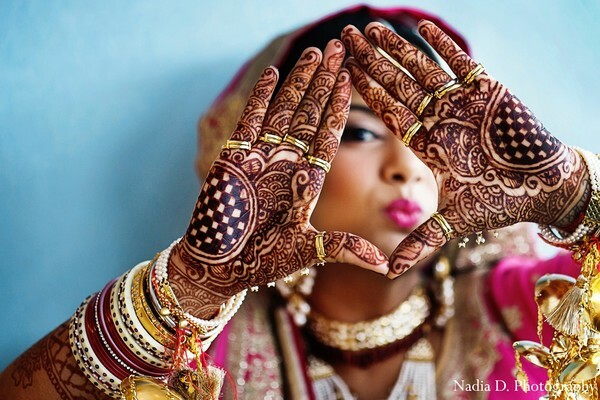 I love how hands-on this bride is with her wedding style, her personal touch is in every element! 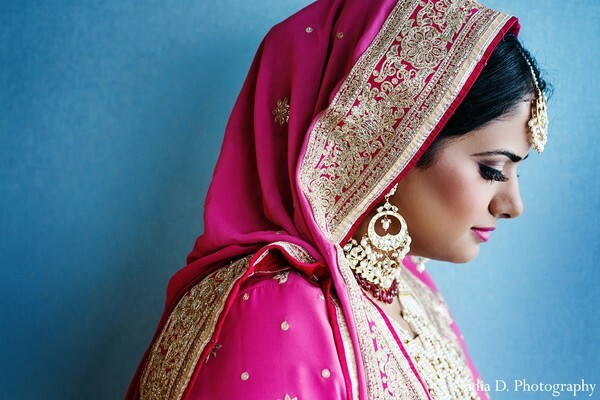 Nadia D Photography snaps some quick portraits and then it's off to the venue where Envi Event Planning, Sarah Khan Event Styling, and IndAroma team up to make this day as magical as can be! Let's head over to the gallery before the ceremony begins! From the bride, on wedding fashion: "I was fortunate enough to be invited to attend the Vogue Wedding show in Delhi and meet with some fabulous designers such as Abu Jani/Sandeep Kholsa, Tarun Tahiliani and Sabyasachi. I was able to work with a designer for my reception outfit, but decided to sketch out my own design for the wedding and sangeet. Each of my outfits were custom made, so there was a lot of nervousness leading up to the wedding as to how they’d turn out. I was very fortunate to work with some great designers who were able to execute my vision!" Stay tuned for the nuptials and some sweet portraits!